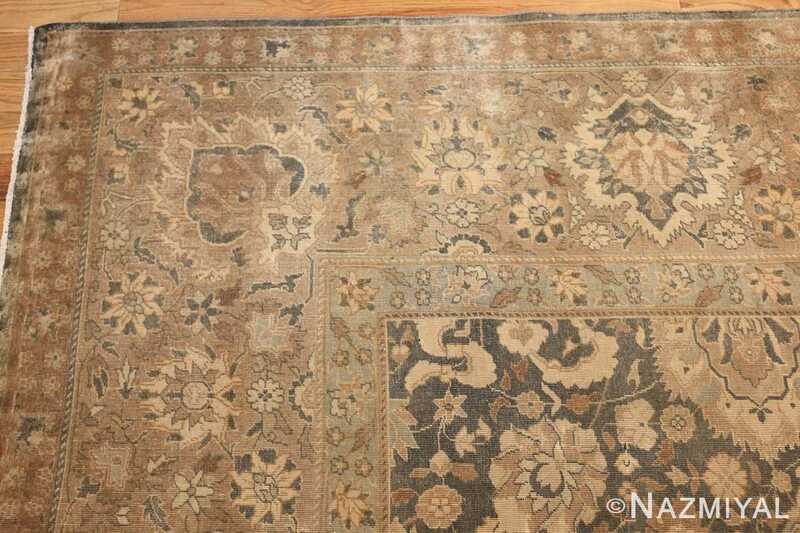 Beautifully Decorative Large Size Antique Indian Floral Rug, Country of Origin: India, Circa Date: Early Twentieth Century - Exhibiting a classical composition, this comely antique Oriental rug is characterized primarily by careful, precise drawing, as well as a charming, well balanced pallet of blue and gold. 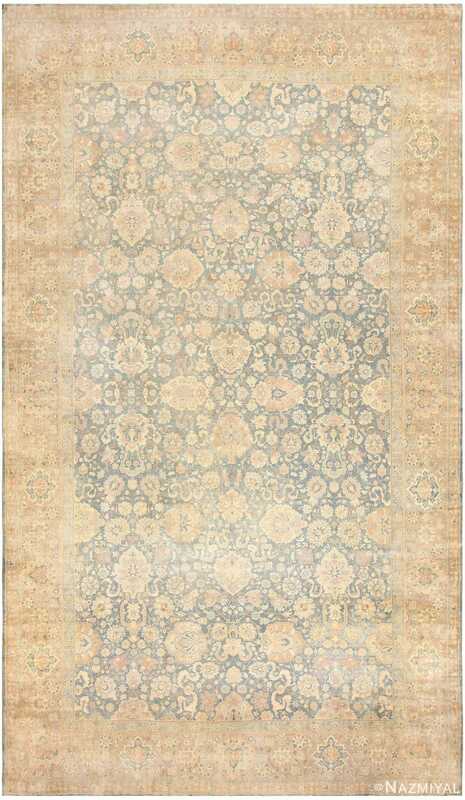 First, an elegant series of borders frames the large size carpet. 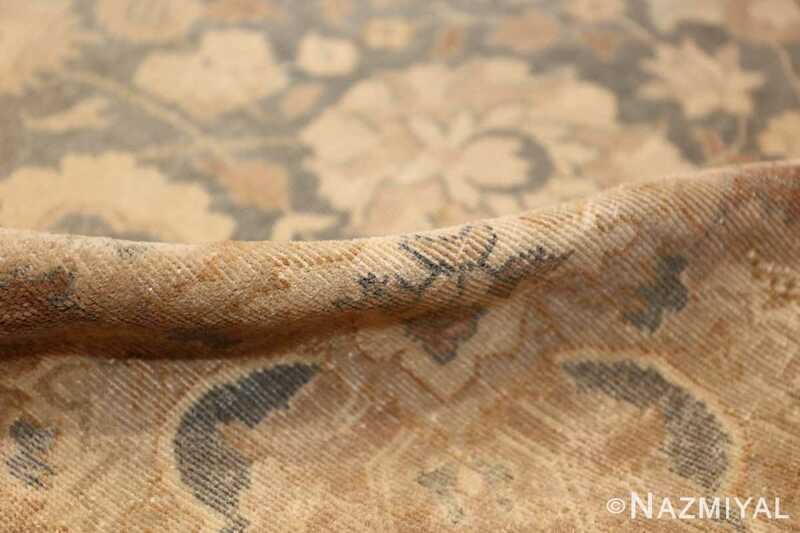 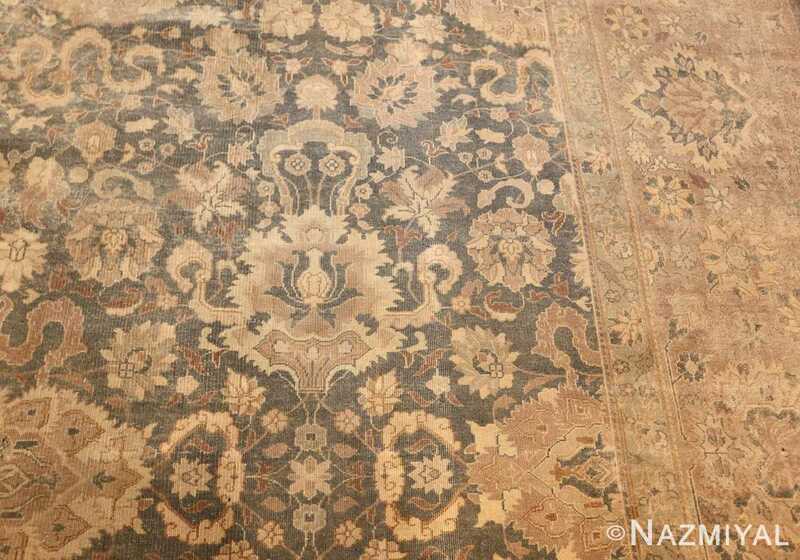 As classically composed as the rest of the carpet, these borders are characterized by a charming interplay of floral elements. Intriguingly faded with age, these details appear more and more appealing the closer one gets to them. The soft splashes of blue against the gold of the borders' background add a lovely element of contrast. 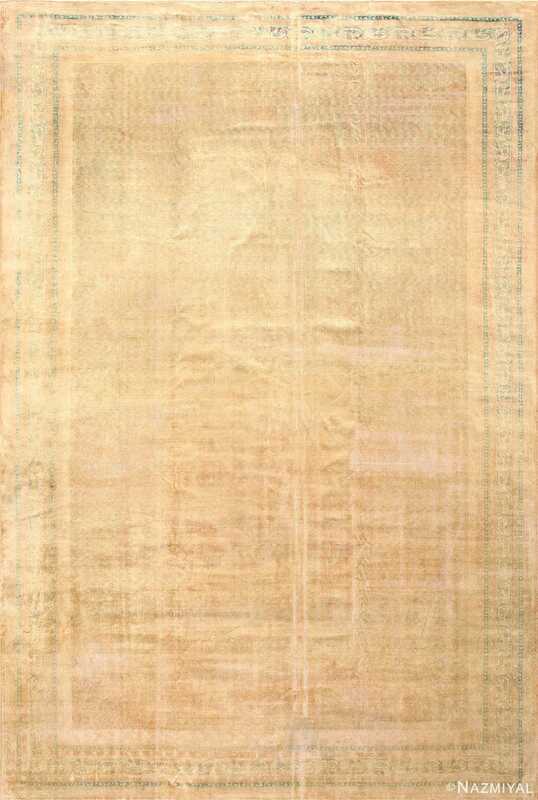 Many of these same aesthetic elements may be found in the field as well; only here, the background color is soft blue, while the detail work is rendered in gold. A stunning and intricate allover pattern of classical floral elements and vine scrolls unfolds throughout, tying back in to the borders and asserting the prominence of the field at the same time. 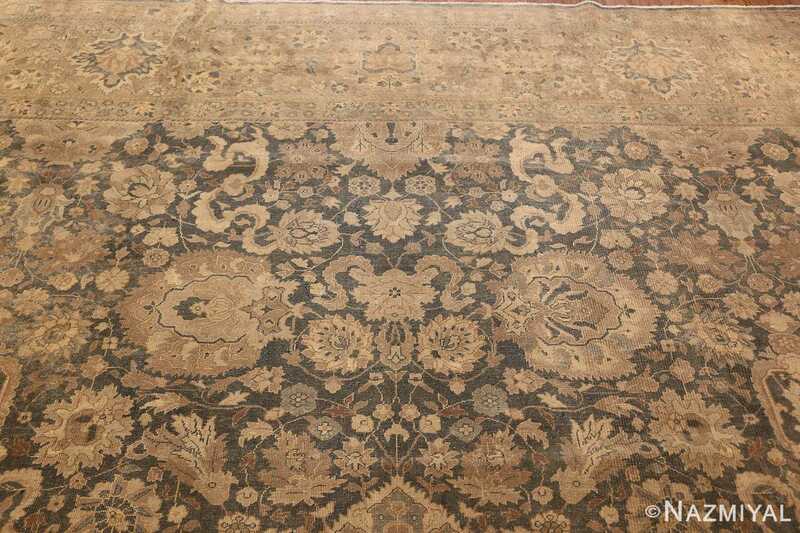 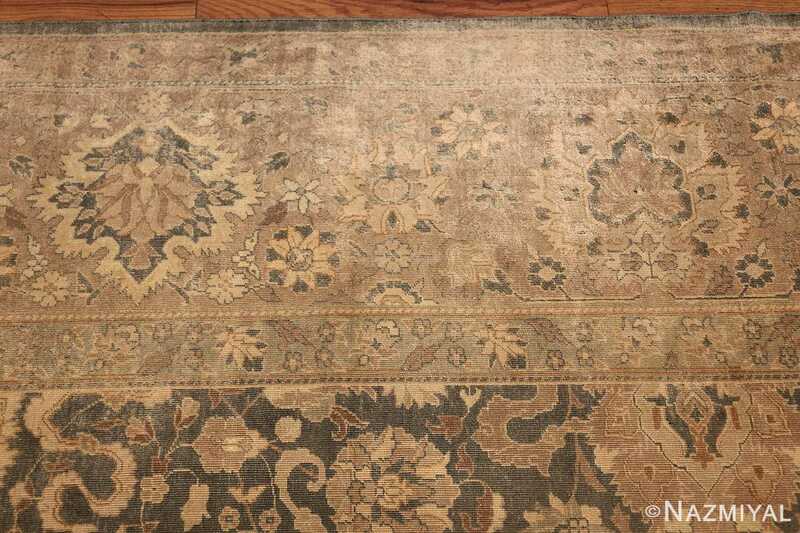 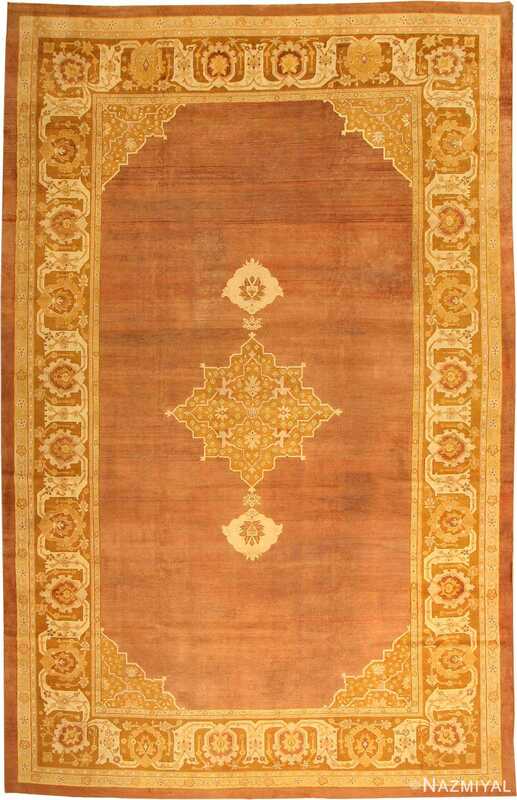 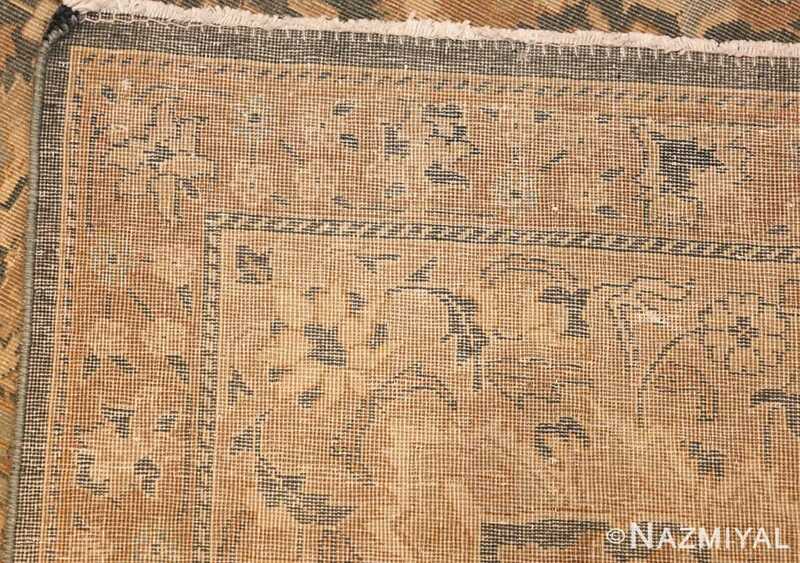 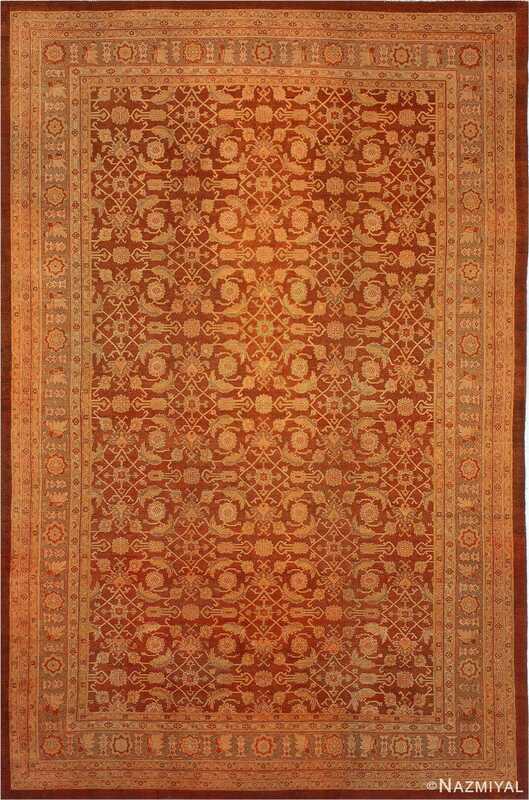 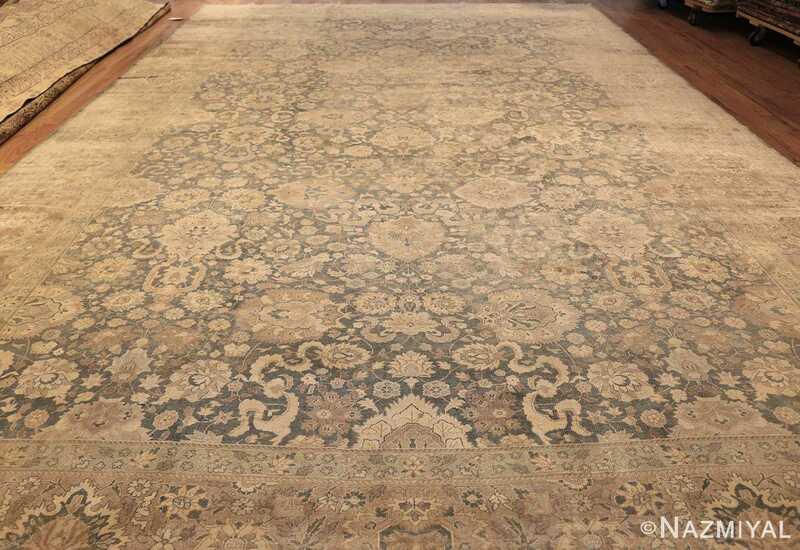 Beautifully woven, this antique Indian rug is an exceptional example.